Any film, TV or Video production has its specific aesthetics and particular looks that comply with the setting of the story being represented. Along with the scenography, and the appearance of the actors, their clothes must be spot on as well. Here is where Costume Designers play their role, designing, creating, buying or hiring all costumes to be worn by the cast. Costume Designers work closely with the Production Designer to ensure that their work fits in with the production’s style and looks. During pre-production, Costume Designers go through scripts to identify the characters and the relative pieces of clothing, taking into account the level of emphasis they want to put on a specific character and developing a costume which fits their emotional status. They deliver the initial sketches and fabric samples to the Director, and discuss colour palettes with the DoP and Production Designer. Once agreed on the kind of costume they need, they choose and hire appropriate suppliers and costume makers, negotiating with them all the terms and requirements and keeping track of the financial records. Costume Designers supervise the whole production process of costumes, arranging fittings and ensuring everything is completed to deadlines. They should be present on set each time a new costume is worn for the first time. After the costumes have been used, Costume Designers take care of their disposal. Creativity and imagination are obviously the key to this role, together with design skills and knowledge of fashion history and the modern fashion industry. Energy, organisation and time management skills are essential to work with strict deadlines and budgets. In order to manage and motivate a team of Costume Makers and Assistants to work efficiently, a good Costume Designer has to possess communication skills and confidence. Finally, since a lot of productions have specific requirements related to their geographical or historical setting, a good cultural knowledge base and research skills are a must. In order to land a Costume Designer position you will need some qualifications and experience. The best route in is starting as a Costume Assistant or Wardrobe Trainee, before progressing to a Costume Maker role and eventually become a Designer. However, it is advisable to get first-hand experience in theatre or TV production, possibly specialising in a single field. 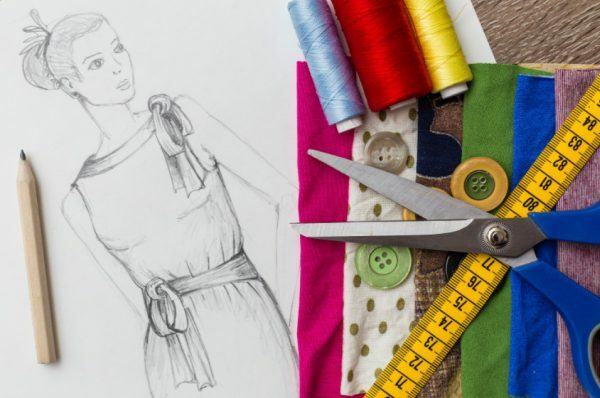 As a Costume Designer, you will need an HND, degree or postgraduate qualification in a subject such as Costume Design, Fashion, Theatre Design or Performing Arts. Apprenticeship schemes and internships are a good way to start gaining on-the-job experience and will enable you to learn from more experienced designers. Organisations such as the Society of British Theatre Designers and The Costume Society offer good opportunities in terms of networking and professional recognition. A driving license is also often necessary to allow you to move supplies and products during the production stage. Salaries as a Costume Designer vary considerably according to experience and reputation. If you manage to put together a great showreel and work on quality productions, you might manage to be hired for a feature film with a substantial budget. Typically, trainees can expect to earn £13,000 a year, while Senior Designers can reach an annual salary upwards of £35,000. If you are ready for the next step in your career, why not take a look at the latest Costume Designer vacancies on our jobs board? You can view our latest vacancies here.